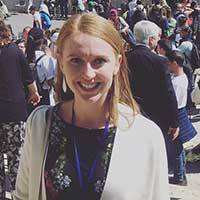 From 5th to 9th April, I had the great honour of being the Australian Youth Delegate at the conference, ‘From Krakow to Panama: The Synod Journeying with Young People,’ held in Rome. Organised by the Dicastery for the Laity, Family and Life in collaboration with the General Secretariat of the Synod of Bishops, the conference was attended by 270 delegates from 103 countries. Significantly, over half of the delegates were young people. When we arrived at the conference venue on Tuesday afternoon, few of us knew what to expect. Some had travelled 30 hours to be there, others just one hour, but we had one thing in common – we had big dreams for the Church and we craved the opportunity to be heard. Two days were devoted to discussions about the upcoming Synod of Bishops on ‘Youth, Faith and Vocational Discernment.’ I delivered a presentation on my hopes for the Synod and the Year of Youth, with my focus being the need to engage our most marginalised young Australians. This entry was posted in ACBC agency news, Bishops Commissions, Special interest, Youth Ministry and tagged Synod 2018 on April 11, 2017 by ACBC Communications. 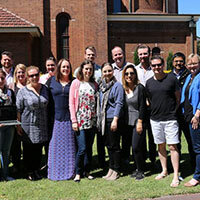 Australian Catholic youth leaders will fly to Rome next month to help plan two major events for young people. 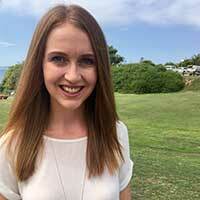 Ashleigh Green, a young woman from the Broken Bay Diocese and Malcolm Hart, Director of the Australian Catholic Bishops Conference Office for Youth, will head to Rome in the first week of April, to participate at an international meeting about World Youth Day (WYD) and the upcoming Synod on young people. The five-day gathering will focus on the theme, From Krakow to Panama – The Synod Journeying with Young People. It will include an evaluation of WYD in Krakow during 2016 and will look ahead to WYD in Panama during 2019. Time will be spent on the pastoral and logistical preparations required. Members of both the Polish and Panamanian organising committees will be present. This entry was posted in ACBC agency news, Bishops Commissions, Pope Francis, Press Releases, World Youth Day, Youth Ministry and tagged ACBC Office for Youth, Krakow 2016, Panama 2019, Pope Francis, Synod 2018, World Youth Day on March 8, 2017 by ACBC Communications.